Check out the Westin black Pro-Traxx 5" oval nerf bars for your vehicle's instant upgrade! By adding step bars to your ride you are giving yourself an easier way to get in and out of your cab. If that wasn't enough, your truck or SUV gets an elevated style value. 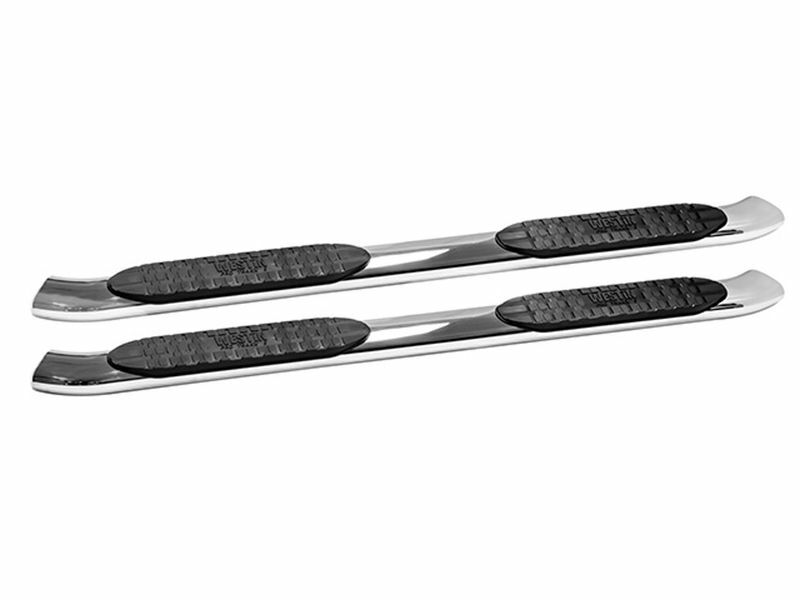 Pro-Traxx 5" step bars are constructed from a heavy-duty steel and coated in a durable black powder-coat. Each set features a wide stepping area for anti-slip ability. Showing off 30 degree OE style bends, these nerf bars will surely turn heads. Sold in pairs, the Westin black Pro-Traxx 5" oval nerf bars are the perfect purchase. No drilling is required for installation. All Pro-Traxx 5" nerf bars are backed by a three year warranty. Installation is easy! You can install the Westin stainless Pro Traxx nerf bars at home with simple instructions and no drilling. All necessary hardware is included.